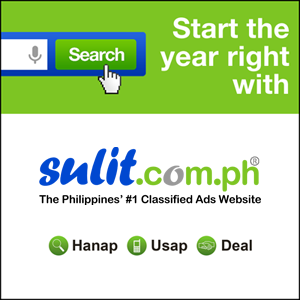 START THE YEAR RIGHT WITH SULIT.COM.PH! As a mother, going to the mall for shopping or going to the public market to buy stuffs that we need is so much of a hassle for me. I can't go out without bringing my daughter with me because I have to make sure that she's always fine. 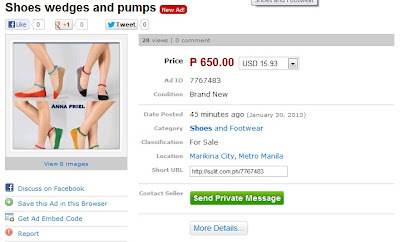 So shopping online is one the best way if you're feeling lazy to go out, very convenient and hassle free. 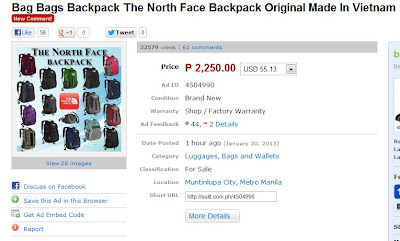 The best site that keeps me go on shopping online is the Sulit.com.ph. 1. Wedding Ring- Me and my husband will be celebrating our 2nd year wedding anniversary on February 6 (civil) and May 14 (church). 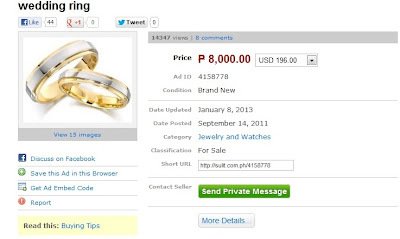 This is my first must have because we didn't have a gold wedding ring. We only have a silver and I really wanted to have this simple but elegant wedding ring. 2. Digicam- I always wanted to have this gadget to clearly take a good shot of every moments. This will help me capture my happy and memorable moments with my family especially my baby. She's turning 2 years old this coming April 1. So I wanted to have this before her birthday. I will used this for that special day. 3. 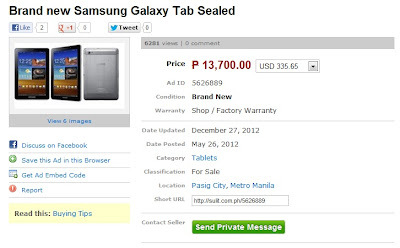 Samsung Galaxy Tab- whether it is brand new or 2nd hand, having this gadget makes you in. We can use it anywhere we want, gaming, chatting and surfing as long as there's an internet connection. Very handy. 4. Flat shoes or Wedges - shoes are one of my passion. Buying online can give you a lot of choice. 5. Nike shoes - My husband really loves shoes. I will give it to him as my gift in our 2nd year anniversary. I don't need to go anywhere to buy something like these. Much easier to choose online. 6.Iphone 5- I need a new phone. 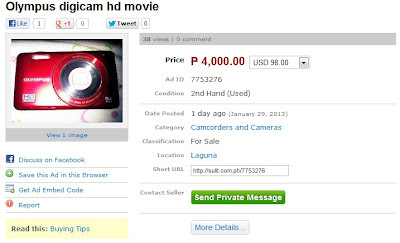 I wanted to be in again, with this wide screen and full of new features that I will surely enjoy. 7. Bag- One of my husband passion. He wants to go on mountain climbing. This bag will help him to carry all necessary stuffs. 8. 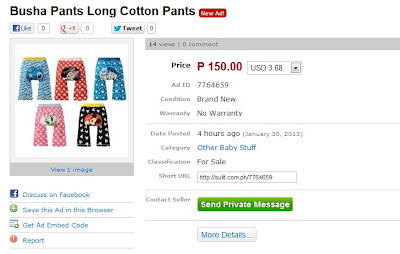 Busha pants - My baby girl will surely suit this pants. So cute, comfortable and affordable. I wanted her to wear this pants to avoid her from having abrasion and wounds due to activities she's doing! I also found it fashionable for kids. 9. Sofa Bed - I want my baby to have her own bed and at the same time her play bed. Since she loves playing with her stuff toys, she can sit and lye down if she gets tired of playing. 10. flat shoes - Because I love seeing my baby as in a fancy stuffs, wearing different shoes, different styles, designs and colors, makes her more adorable. 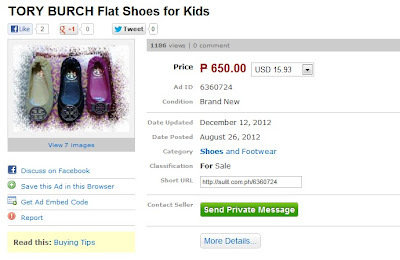 Aside from the headbands, crochets, bonnets or ribbons, shoes can also add to her "fancy stuffs." Those are my MUST HAVE'S for starting my 2013. Not all are gadgets, because I most love to buy things for my daughter. GIVEAWAY for the LUCKY READERS!!! 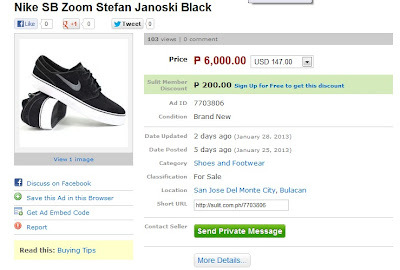 How about you, what is your Top 10 SULIT MUST-HAVE’S for 2013? Comment down below and be one of the lucky five winners will be picked via random who will receive P10,000 worth of Sulit.com.ph GC’s each! That’s it! 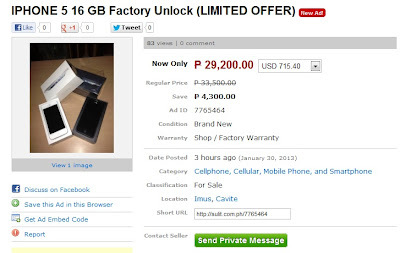 This promo will run until February 20, 2013. So, what are you waiting for? Join now! 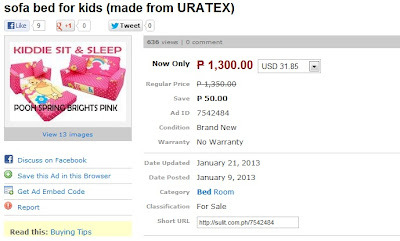 5.Single Bed Frame On Sale P2499 Lowest Price! MY 10 SULIT MUST HAVES!